It’s almost London Marathon time again…yes thousands of you will take to the streets on Sunday 28th April for a beastly 26.2 mile run from Blackheath to the Mall. Whether you’re doing it for charity or for the glory, there’ll be plenty of rewards waiting for you at the finish line like free burgers, pizzas and pasta. There’s no amount of free food or drink that would persuade us to run it but you defo deserve to stuff you face afterwards, so show off your medal and claim your goodies. 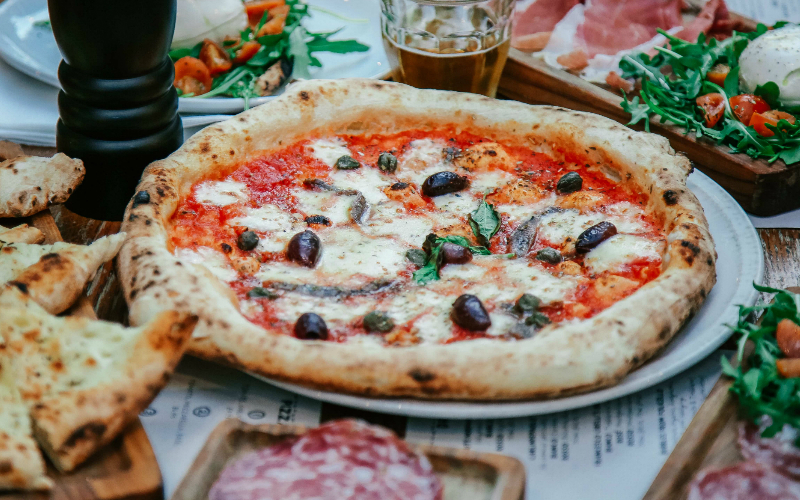 Swing by any branch of Franco Manca on Sunday or Monday…so you could pop into your local as an extra treat on Monday night if you can only make it to the sofa after the race…and claim a free pizza of your choice. You’ve trained hard and run far so what better way to celebrate (and retox) than with a dirty burger. Maxwell’s is dishing them out to all finishers for free, including their Old Timers and vegan bacon & cheese burgers. 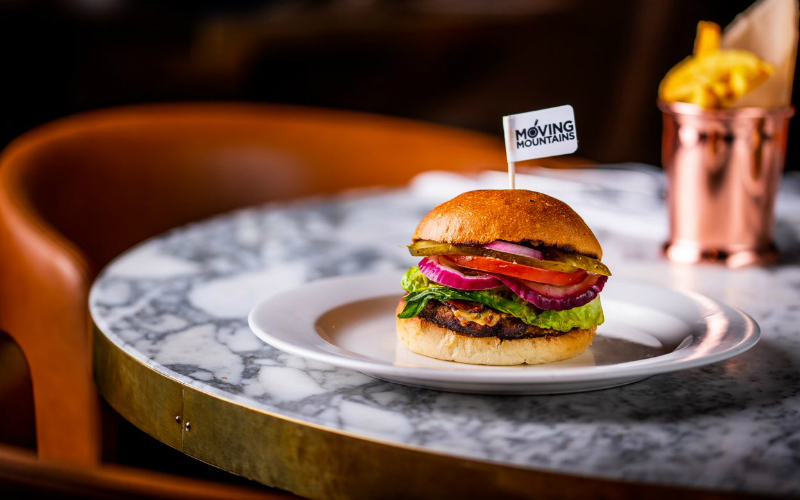 Old Compton Brasserie is also getting on the free burger action, offering the meaty OCB Burger (with beef patty, streaky bacon and Godminster organic cheddar) and the plant-based PB Burger (with Moving Mountains patty, shiitake bacon, vegan cheese and avo mayo) for race finishers. 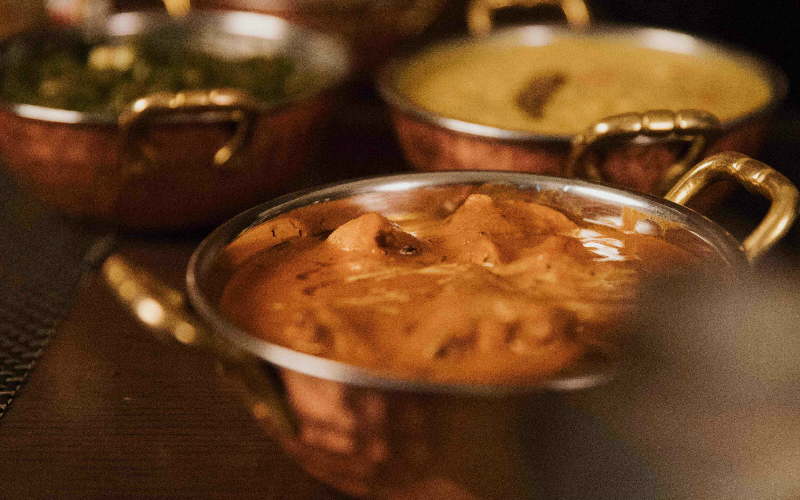 Flash your medal at Baluchi, the Indian restaurant inside The LaLiT London at Tower Bridge and you’ll be presented with a butter chicken or aubergine and tamarind curry WITH pilau rice, on the house. 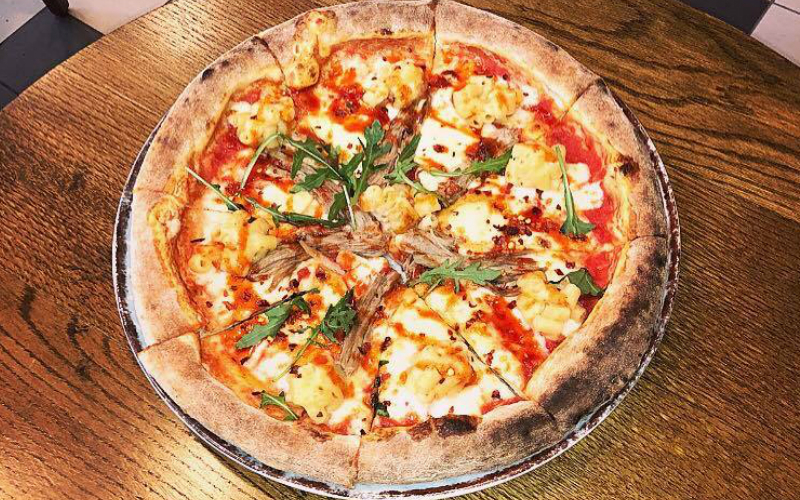 No doubt you’ll need a little help recovering after the marathon and Greenwood sports bar and restaurant has just the thing…the 2042g pizza, which has 20g of carbs and 42g of protein thanks to cured ham, mozzarella and cauliflower on a pea protein enriched base. Now that’s our kinda muscle recovery. 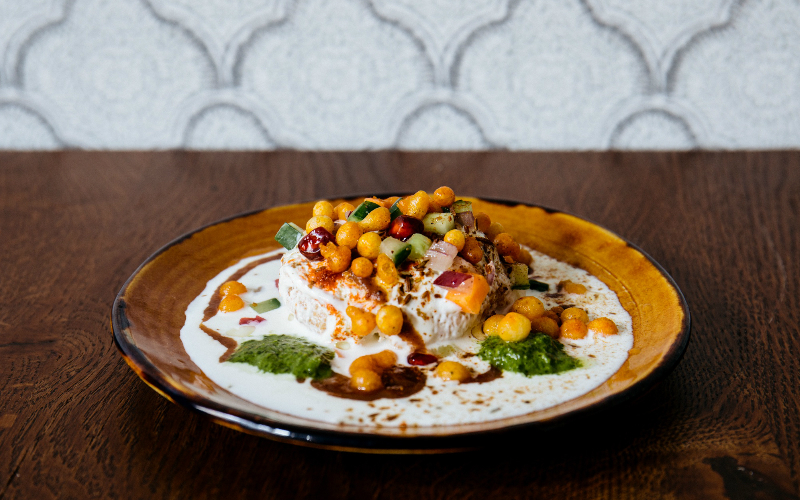 Swing by Cinnamon Bazaar post-race and choose from nine kinds of chaat, including the papdi chaat with crisp wheat, tamarind and chickpea vermicelli and the watermelon chaat with pressed watermelon, date chutney and masala cashew nuts, to have on the house. If you want to yourself to a spot of dim sum after the big race, Royal China will give you a free dish just for showing off your medal. 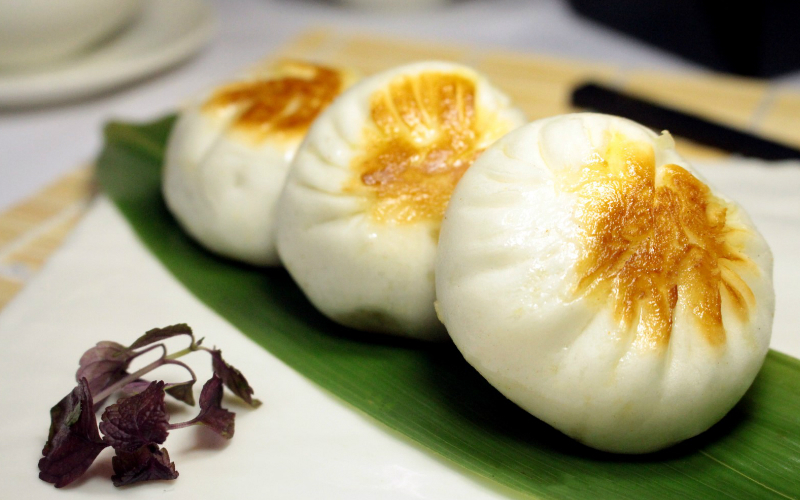 You can choose from the likes of cheung fun with peanut sauce, steamed prawn and chive dumplings and honey roast pork puffs. 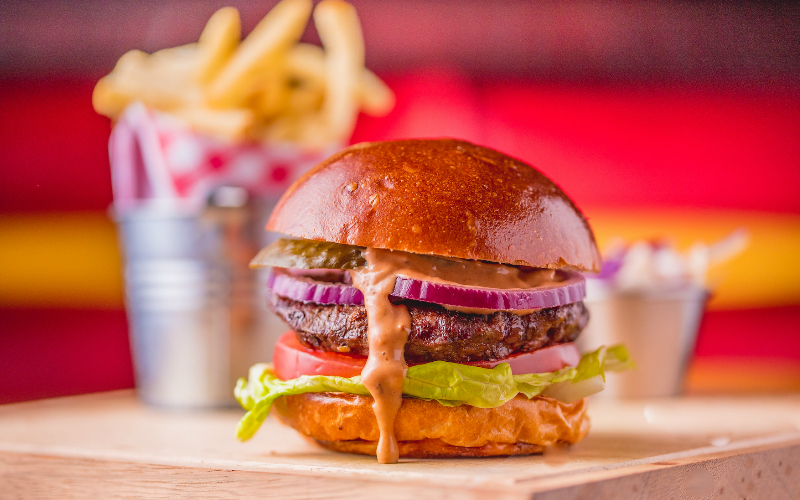 And you can get it at the Baker Street, Fulham, Canary Wharf and Harrow-on-the-Hill restaurants.